In this case, what was HE thinking? I don’t know about you – but I do not like this.. I guess you have to be Marc Jacobs to be able to sell a bag like that. 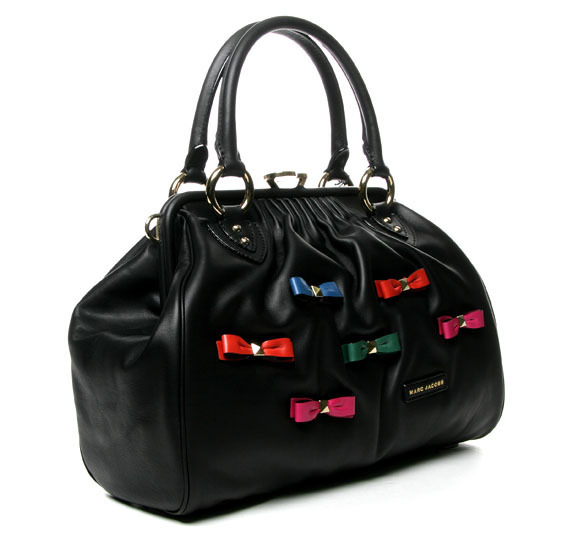 The bag itself is ok but the bows make it horrendous! Maybe if I was 7 yrs old..
Makes me afraid of what is to come….